When I first started using coupons about two years ago, I had a plain white envelope that held the few coupons I had. After learning more about couponing and finding more coupons, I worked my way up to a little file folder and then to a big blue coupon binder with 14 categories and pages upon pages of coupons. I used that binder for over a year, and eventually, I just couldn’t do it anymore. A big binder full of coupons is not a light load. I hated the thought of missing out on any deals so I would take my binder everywhere. And I mean everywhere. What if I was out and wanted to stop and pick something up and didn’t have my coupons with me? Even if I was buying groceries, I didn’t want to run the risk of missing any unadvertised deals. Carrying around that big binder was just too heavy, and this is one of the reasons that contributed to my decision to let it go. I had a ton of coupons in my binder that I knew I was not going to need. Diapers? Nope, no babies. Yogurt? Nope, lactose intolerant. Cat food? Nope, we have a dog. So why was I carrying them around all the time? I didn’t want to throw those coupons out, but instead I want to trade coupons with others. So, I decided it would be easier to leave those at home. So many couponers love having a coupon binder with nice, clear pages to easily view all their coupons. I was like that too, but I didn’t feel like my coupons were very organized. I was constantly finding expired coupons, and even though I had everything organized by category, I could not always find what I was looking for. I simply could not organize my coupon binder in a way that worked for me. One day, I decided to simply retire my coupon binder. To replace it, I got my little gray folder out again, and started organizing my coupons by expiration date. I realized that I didn’t need a massive coupon binder full of coupons to save money. My little folder fit all the coupons I needed and I was much better organized. Regardless of how you sort and store your coupons, being organized is most important when saving money. Overall, I love not having a coupon binder. My purse is lighter, my coupons are better organized and I’m always ready for when a great deal comes along. Do you use a coupon binder to organize your coupons? 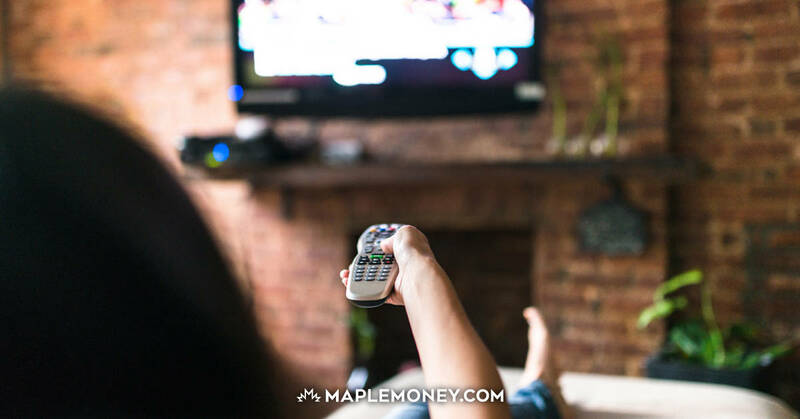 Nicole Homeniuk is a contributing writer for MapleMoney.com. She is a coupon enthusiast and deal seeker who loves saving money for her family. She and husband Sean are puppy parents to Cooper, who likes to help “organize” loose coupons. I love my coupon binder! I only fill it with coupons that I think we will use and I have it organized in a fashion that suits me. Actually I followed Cassie’s advice in how to organize it. My husband I and take it with us whenever we go shopping so we won’t miss a deal. There was an occasion when my husband left it in a grocery cart at Sobey’s. It was a few days before he noticed. He called the customer service desk and someone turned it in. Thank god! I was seriously devasted when I found out he had lost it. It was like so many great deals and TONS of my time down the drain. I haven’t been one to travel out of the house with any more than the coupons I need for a given shopping trip. I have a big and somewhat organized binder that I put the coupons I know for sure I will use, possibly use and the ones that I know for sure I won’t use, go into a baggie for if/when I go to a coupon swap or have friends/family who could use the coupon. I find that if I only take the coupons I know I NEED then it is much easier to stick to my budget. I just leave my extra coupons in the car when shopping so it makes me think long and hard before I go out and get them. I don’t use a binder though, I use the half-paper size accordian files that I bought at the dollar store – one colour for food coupons, the other for cleaning supplies and other. I file by product name, because while I get why someone would file by expiry date, my memory isn’t good enough to be able to find things that way. I LOVE my coupon binder and would never dream of giving it up! I only fill it with coupons I use – why on earth would you clip coupons for something you don’t need (cat food when you have a dog?) Seems like a waste of time to me. Nope, I have two binders – one for Canada and one for the USA. I often keep coupons for products I don’t use – I have a dog and cut out kitty litter coupons all the time. It’s great for when someone is behind me buying the item I don’t use, and you can pass along a little savings as a thank you for being patient or if I see a super sale then I pick it up for a friend or an animal shelter. Now that I have my coupon bag from Etsy- I can’t even believe I lugged a binder around! The bag looks like a purse, I can find things faster & I feel less self conscious. It’s small enough to fit in little drugstore carts. Usually I just grab my coupon bag, my debit card, phone & I’m ready to shop! Sorry to say but this is a pretty weak post. Coupon organization is a personal choice which I guess is the point of this post but why not post something more creative like a how to find what works best for you…… at least that is helpful. I think it would be weak if she was telling people to give up their binder. She is just sharing her experience, and doesn’t claim to be doing anything else. I thought it was a well-written article from a very interesting perspective. Great article, this is my EXACT coupon evolution and no more hours spent filling un filling a binder…. I use 1 envelope per store I shop, follow the ads and matchups and clip from the whole insert I keep organized…. NOW I have more time to hunt deals instead of always hoping on that clearance item I might have a coupon in my hugh binder to buy something I dont want or need in the 1st place. I’ve never used a binder. Way too big and bulky for me. I used the little folders as well – sort them alphabetically and I use two of them. One for grocery and one for everything else. It works for me. I offered my binder (after only having it for 6 weeks) for free to anyone in this town, and no one wanted it. I threw it in the dumpster. I like only going to the store with exactly what coupons I need to buy exactly what I need. Lessens the chance of spending more. twenty five cents on a bargain for something you dont really need is still twenty five cents. If you add up all those pennies over the year, it could cost you BIG in the end. I would be lost without my coupon binder. Although I don’t need everything in it I always hand them out to people in line when I see items in their carts or leave them on the shelf where an item is that I won’t use. I can’t begin to say how happy people are when you hand them a coupon that will save them money they were not expecting to save. It is kind of like “Paying it forward”. I am pretty organized and can pull out the coupons quickly because they are organized by type. I had a huge one as well, and I was self conscious about carrying it around. Pretty sure it embarrassed my hubby as well, lol. So I went on a mission, to Staples. I love that store! Anyway, I found a smaller “binder” which is actually a business card holder…and it fits in my purse! It holds over 60 pages and TONS of coupons! I just keep all my ones to trade in a white envelope and they don’t leave my house. I used to hate that big binder so much, I left it in the car, then I would get in the store and want it! No worries now! I love my mini binder! i have tried to do the binder method several times, but have gone back to my accordion file, which is about 1/2 the size of a standard one that fits 8 1/2 x 11 size paper. it is also about 4″ deep. so i can still hold tons of coupons, but its not as heavy (who knew thin, see thru plastic could add so much weight). I think we all come in different shades, shapes and sizes (LOL!!) and whatever works for someone is never a bad thing. At the end of the month, I put aside the ones that will expire in about 30 days (or so), and see if they can be matched with a deal. I found the binder was too hard to “protect” when you have 2 little toddlers in the front of the cart and they are pulling the coupons out. way too distracting. I changed to an old lunch pale a while ago and sold my coupon binder to someone who can use it easier. Would like to know how other parents coupon with kids in the cart? Honestly, my daughter is usually busy eating something from the cart. But typically I have to hide my binder under jackets these days..another reason I am wanting to switch to something easier. My 3 1/2 year old is forever grabbing coupons out and trying to pass them to other shoppers. I use a wallet size filer. I try to keep her busy with a snack while we shop and she’s been warned enough times now that she pretty well leaves my folder alone. She does continually ask if that’s a good price, or do you have a coupon for that – ha. One thing that I do with her is give her a couple coupons (usually pulled from the coupon board at the store) and ask her to keep her eye out for that item. If she finds it, she gets a donut on the way home from shopping. Bribery does work! I could never leave my binder. I’m very visual so to stuff coupons into a file is pointless to me … I want to see what I have and have it quickly without having to flip through dozens and dozens of coupons…which is annoying since most of them come on very very thin paper. I still keep a small file folder (cheque size) for when I do my shopping, everything I know I will buy are already out in that folder for convenience. The binder I leave in the van-should I see a really good deal I would just go back into the store after I finish my original purchase. I ordered a coupon bag from glowgirl and just love it. It is so easy to sort and find my coupons and easy to carry so I can take it every time I leave the house. No time for a binder. When I went back to work after my mat leave I even went from 2 folders down to one. I now only keep coupons for products I use or high value ones for new products I might try. I organize by product type.Every week when I plan my shop I go through and put the ones I want to use at the front. I use a folder like Nicole for the coupons that I am likely to use. I still organize by category, but within each category, I organize by expiry date. For coupons that I know I won’t use and put on my trade list, I use an old wipes container and organize it by category and then by expiry. It’s easy to know which ones to throw out and how to find them when I need them. I agree: a binder is much to big to carry around. I love my binder. I have big categories, then sub-categories, and I sort by expiry date, so once a month I clean out the old ones and move the good ones up a few spaces. price coupons. These I store in my large zippered binder. I carry a medium folder that has my grocery lists if I am going to more than one store and a pen and calculator for SDM and my coupons. and flyer page if price matching.This works well for me. Binder is just too heavy.I wear a crossbody purse and carry my folder. I had a started a coupon bineder, then got annoyed with it and went back to my lil yellow folder. It fits in my diaper bag, is easy to carry around. I used to take all and every coupon, now I am “picky”. I take ones I know I will use and high value ones. Anyones I won’t use I put on my trade list of a mth, then if not expired I become a coupon fairy! As I make my grocery list each week I pull the coupons I plan to use forward and keep them in a small enveloppe. Makes my life so much easier and I am not stressed about trying to keep the binder organized! I love my binder. Here is what I did. For each letter of the alphabet, marked with plastic tabs, I have three pages. I placed a blue (household), pink(beauty) or yellow(food) page in a page protector. Then I sewed the page protector with my sewing machine to create 4 pockets on each side. It works well, although was a lot of work to create initially. It is in a zippered binder, which I keep in a reusable cloth shopping bag. You should consider selling this on Etsy! When I plan my shopping trips I usually take out the coupons I want to use and put it in a small file folder that fits into my purse. Sometimes I only take this file folder in with me (usually when I just plan to make a quick trip to the store) but if I want to make a longer trip where I might browse for more than what I want to grab, then I will take the binder in with me. Marion: I do that too, with an envelope for the coupons I plan to use in my purse. I usually bring my binder if I am doing a big shop at Walmart…but don’t bother for quick trips to pick up specific items. should have referred to Mia, not Marion…sorry. I have two 1″ binders, one for grocery, the other for non-grocery. I have tabs to organize them ie soap/lotion, hair, paper, deod/shave, etc or beverages, dairy, fruit/veg, frozen, etc. Both binders fit in a cloth bag as do the current flyers. I usually have a calculator in there as well. Unless I’m just running in for a few things, in which case I’ll grab the coupons I know I’ll use, I usually bring my binders in with me. 99% of my couponing is used for donations to our foodbank as we generally stick to whole foods (and there are RARELY any coupons for that!) and I really don’t use that many cleaning products-I can’t figure out what y’all do with all those wipes and cleaners! I’d hate to miss a screaming deal on a clearance or sale item that I have coupons for that I don’t use but the foodbank would appreciate. I keep thinking about those etsy bags…as it would fit in the cart next to my purse…and I guess I could put my flyers in with my bag of reusable bags…just haven’t gotten around to deciding yet! I have got rid of my binder too. I would have never taken it in the stores because I would have been too embarrassed. I now have one of the etsy bags and love it. Went to the dollar store and bought a hardcover notebook with a spiral binding and a box of envelopes, 1$ each. Folded the flaps over backwards and stuck them to the pages.. now I have an organizer with fifteen pages, labelled, and I folded over the edge of a few pages and a corner or two to make tabs. Fits in my purse, held closed by a big elastic, and its no bigger than an organizer. I took out a bunch of extra pages to reduce the thickness, and it can go anywhere, weighs next to nothing and the extra coupons I dont want or use stay at home in a trading pile! Also….as a friend told me. Cashier’s HATE coupon binder folks. also everyone in line hates you. Try to be more “inconspicuous”. I understand most are not ‘righteous’ when they use their coupons. But then again, a lot ARE. Like I care what people in line think or cashiers for that matter! I’m there to shop and save money, don’t like my binder too bad for you! My binder is highly organized and I know where every coupon is. Love that idea, I am still in the enveloppe stage since I started couponing a couple of months ago. I was looking at buying a binder but instead I will check for a little folder. I use small 4×6 size photo albums from the dollar store-one for food coupons and the other for the rest. The sleeves are clear so it’s easy to flip & search. Within each sleeve, I organize them by date. I use the dollar store photo albums too. i check my flyers, grab the coupons i need and put them in my purse i take couponing. i leave my other coupons in my car. i take a quick walk about the store, see if there’s instore specials that i may need coupons for. if so go back out to the car, get those coupons, and i’m good to go. Got rid of my binder too. I found it way too time consuming putting coupons in it and constantly flipping through as well. I currently use something similar to yours except file by category instead of expiry date. love your site. I got rid of my binder shortly after reading this article. It was bulky to carry into the store and people would often look at me as if I were self important. I no longer have that little someone to ride in the cart (they grew). So I now put my coupon folder there with my flyers and I can easily see what I need too at a glance. Love the change and the cool new coupon folder is classy too!!! I use 2 wallet size accordion folders. One is for all food related products and the other one is for all other non-edible items. 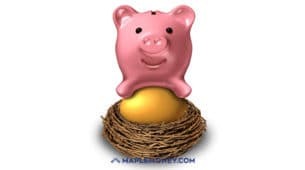 I have organized each based on categories like cheeses, dairy, breads, cereals, fruits and veggies, meats and fish, hygene, dental, cleaning, laundry, paper products, meds, pet food, etc…I only keep up to date coupons I know I will use. I go through my entire stock at the end of each month and remove all expired coupons. This system works well for me and both folders are light to carry and stay in my bag at all times. I still use my binder, because I price match extensively, so my zippered binder holds my detailed shopping list and all my flyers for price matching, as well as my coupons. I now keep only about half as many coupons in my binder, though … just the ones I am definitely or probably going to use. All others go into a plastic tub at home to save for trading or giving away to others. I have a ziplock bag and I only keep the coupons that I will likely use. I am new to the couponing side of bargain finding. I have grown from an envelope to a binder and from a coupon spreadsheet to a portable app. Something that is working for me is using the out of milk app on my iphone. Its not perfect- but it seems to work in keeping me organized and saving a tonne of time each week in couponing. I organize my coupons on a “master shopping list” on the app. I list them by product name, amount and expiration date. I can quickly find the exact coupon in my database,where I have multiples and high value and find its matching envelope/sleeve. I can delete the coupon as soon as I use it and add coupons right while I am in the shopping aisle. The app is easy to copy and create tailored shopping lists for each store and with the bar code scanner I can scan items right into my stockpile inventory when I put them in my cart this way I never overstock any one item or loose things in my stockpile.